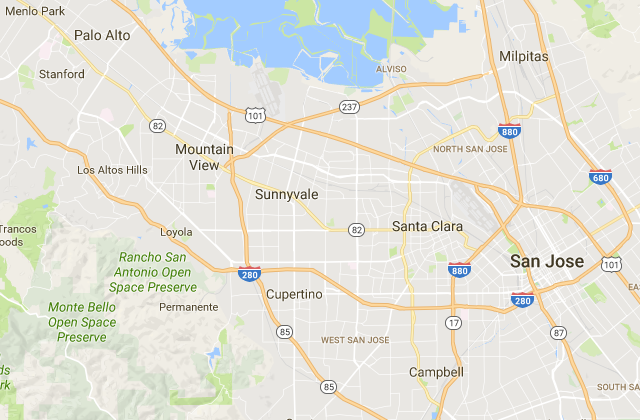 There are many options when looking for a pest and rodent control company in Santa Clara County. However, when you choose Ratting On Rodents you're working with the best rodent control company in San Jose. We are veteran owned and operated, so we know how to serve our community with honesty, integrity, respect and a commitment to excellence. Whether you're dealing with roof rats, house mice, squirrels, possums, rodent feces or need dead rodents removed - our service offerings cover all of the above (and more). These rodents can contaminate food supplies, damage your property, and even spread diseases to your pets or little ones. Don't hesitate to call us at (408) 679-5193. We're happy to take care of your needs at any hour; that's right, we offer 24 hour service. Which other companies in the area can say the same? At Ratting On Rodents we believe in providing excellent and professional service. In order to achieve this we strive to educate our clients as to where their rodent problems began, and to set clear expectations on how we can resolve these issues for the long term. Our service begins with a free inspection. Give our offices a call to schedule your inspection at a time that's convenient to you (sometime we can offer a same day inspection). When our technicians arrive they will identify the extent of necessary work, answer all of your questions and provide a quote. 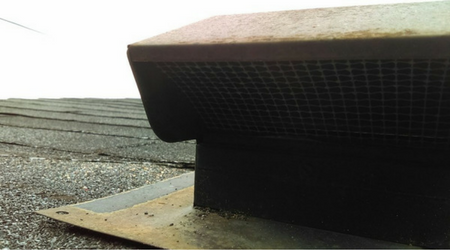 Our scope of work is based on three foundational elements: rodent proofing, rodent trapping, and rodent removal. Before dealing with any rodents we must identify and obstruct any potential paths that pests have for entering your property. Once we've prevented access from outside, we will move on to trapping and removal. We offer a 1 year warranty on our trapping and removal services and a 5 year warranty on the materials that we use during the rodent proofing process. Once our work on your property is complete, our relationship with you is not. We're just one phone call away to answer any questions or address any concerns that you may have about the future of your rodent-free home or business. We strive to provide the most dependable rodent control in San Jose. Whether you need residential pest control or commercial pest control, you deserve a company you can trust. Each of our rodent control technicians have undergone thorough training and qualifications to provide you with the fantastic service you expect. There is no alternative for the hours our superb rodent removal technicians have put in to being the best in this industry. We work very hard to ensure that every client we serve at Ratting On Rodents is given the specific services they expect along with excellent customer service. Ratting On Rodents is a rodent removal company that only hires the most professional crew for our rodent proofing, trapping and removal services. All of our technicians are equipped for both residential and commercial rodent removal jobs, therefore whatever it is that you are looking for, our crew has the expertise to handle it. We honestly believe that the key to providing an excellent service lies with our staff. Therefore, we ensure that they align with our key values of honesty, integrity, respect and a commitment to excellence. When you work with Ratting On Rodents your can depend on us to treat your property like it's one of our own. The cost for rodent control service varies depending on the severity of your pest infestation and the amount of damage that has been caused. This is why we always start with a free pest inspection, because no rodent issue is the same and we strive to provide a custom tailored solution for your issue. We will come out to your home or business to assess the rodent issue and determine what sort of materials and labor are needed to resolve the issue. We will be able to answer and questions you may have before and after providing a quote. This is all free of charge. After providing the free rodent inspection, and assuming our bid is accepted, we will be able to begin work. Depending on the extent of work, sometimes we can start the job during the same visit. There are a number of factors that can influence how much rodent removal services can cost. 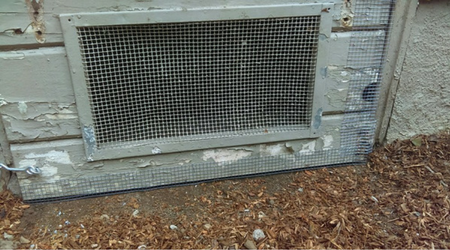 Depending on the extent of rodent proofing that needs to be done, certain materials such as wire mesh screens, epoxy and grout may be used to effectively close any previous holes or entry ways the rodents use to enter your premises. Why do we consider ourselves "top of the line"? Because we go the extra mile compared to other rodent control businesses in the San Jose and CA South Bay area. Try calling some of our competitors and asking them five questions about your rodent problems, then ask them how much they charge for an inspection. After you get off the phone with them give us a call and do the same thing. We can tell you how we offer top of the line service, but it's always nice to hear it for yourself. We have a saying within our company which is "our guarantee is your satisfaction". Let us expand on this a bit. Customer satisfaction is what drives us. It drives our motivation and it drives our business to succeed. We want our customers to be so happy with the work we perform that they're telling friends and neighbors about the positive experience. We want our customers to be so happy with the solutions we've provided to their rodent problems that they call back to thank us. We want our customers to be so happy with our service that they leave great reviews on Google and Yelp to share their experience with others. This is true satisfaction and we have no interest in providing anything less. This is why we offer warranties that the competition doesn't. This is why we will talk to you for 30 minutes on the phone until all of your questions are answered and the competition won't. This is why we offer free inspections and the competition will charge you for it. This is why we are the top of the line rodent removal service in San Jose! When most people think "pest control near me" the image of a tented house receiving fumigation treatment is the first thing that comes to mind. But this is not anything you'll find with our process of rodent proofing, rodent trapping and rodent removal. We don't use any harsh chemicals. We take a green-friendly approach to pest control that academic circles refer to as integrated pest control (IPC), or integrated pest management (IPM). To quote the University of California Davis curriculum, "IPM is an ecosystem-based strategy that focuses on long-term prevention of pests or their damage through a combination of techniques such as biological control, habitat manipulation, modification of cultural practices, and use of resistant varieties". In layman's terms, we advocate progressive pest management practices such as sealing openings in your properties foundation, siding or baseboards. Additionally, it's very important to maintain proper landscaping to avoid rodent nests in bushes, shrubs, or vines. Another common pest attraction is bulk food storage or pet foods so it's important to keep an eye on sheds, bird feeders, or outdoor dog and cat food bowls. ​You can get more information about integrated pest management practices by giving us a call. We look forward to hearing from you soon about our rodent control service. How do you compare to other rodent control companies? You have many options to choose from when picking a business to deal with your critter problems. There are many categories like wildlife control, pest control, rodent control, and more. And you may be thinking, "what's the different between one company and another - they're just doing something I don't want to do". In fact there are many things that differentiate Ratting On Rodents between the competition; such as our stellar customer service and commitment to excellence, our 1 and 5 year warranties where we will come back to your home or business as many times as is necessary to address recurring issues, and our professionalism. This commitment to providing excellent service which we're proud of results in an excellent service provided and extremely satisfied customers that are happy to tell others about their experience. There are many other options, such as: Rapid Rodent Removal, RPM Exterminators, Responsible Pest Services, Earl's Pest Control, Planet Orange, Killroy, Dewey Pest Control and Critter Control to name just a few; but will they treat you like family and perform at a level of service you'd expect to find in their very own home? ​As you can see there are many options to choose from. Competition is healthy, it's what drives us to be the best rodent removal business in the area. We're proud to call ourselves the best. It's a claim that holds us accountable. It's a claim that we're driven to hold on to. So, when you choose to work with Ratting On Rodents get ready to receive stellar service lightning fast. can I set my own rodent traps? Yes, you can. However always read the manufacturer's safety instructions to ensure that you are taking all of the necessary precautions. If you have any questions don't hesitate to give us a call and we're happy to walk you through the process and describe what to look for. When it's time to remove the trap, and the rodent that's attached, just let us know and we will be over as quick as possible to take care of the removal. When you're thinking about setting your traps just ask yourself one question, "where are these rodents coming from?". While most people don't want to deal with it, almost anyone can set a mousetrap, but the true challenge is in effectively identifying and sealing entry points to prevent future access. So next time you are setting up rodent traps just know that it's a short term fix. You'll need to have a proper rodent proofing service performed or else you'll be setting more traps in no time. Absolutely! We provide a 1 year service guarantee and a 5 year materials guarantee. This means that we will return to your home or business to provide repeat trapping and removal services for 1 year after your initial service. If additional proofing is needed or if any of the preexisting proofing materials need to be repaired or replaced we will happily do so, free of charge, for 5 years after the initial service. Don't hesitate to give us a call if you have any questions about our rodent control warranty.